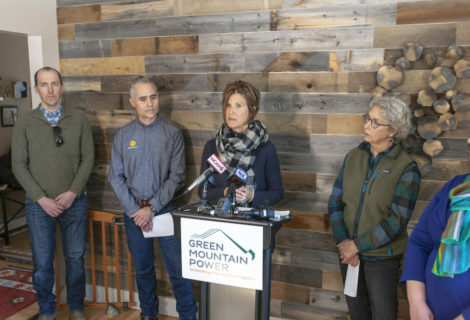 If you want to go solar at your home, but your property is heavily shaded or your roof is incompatible, buying a share of clean power from a community solar array (CSA) is the next best solar solution. There are two different ways to become a CSA member: Ownership and Subscription. 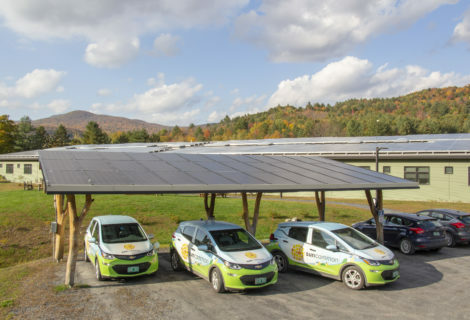 Community Solar Ownership – Maximum Savings and a lot of good. 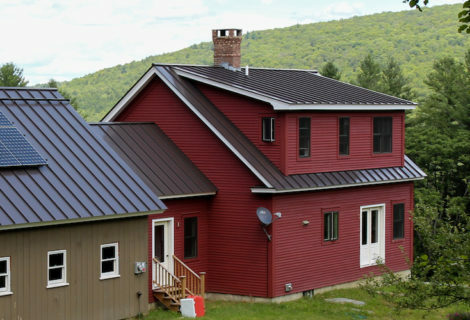 If saving the most money with your solar is important to you, ownership is your best option. Save 2-3 times more money on your utility bill with community solar ownership than with a subscription. Exact savings depend on how you pay for the system. Become eligible for a 30% federal tax credit. Enjoy consistent savings. Our rates don’t go up over time. You lock in your solar cost when you buy. Own your solar panels and your power. Increase the value of your home. When you move, either sell your solar panels with your home, or if you move within the same utility, take them with you to your next place. Support a local company, local jobs, and keep your energy dollars local. *All our arrays are small and well-sited, with minimal impact on the landscape. We support local pollinators by planting native wildflower species on site. If long term savings aren’t as important to you, this is an accessible option. Immediate savings. Pay a little less on your utility bill each month than you would without the program. If your circumstances change and you need to exit the CSA, a cancellation fee will apply. Most of the solar companies installing subscription CSAs aren’t local. They don’t live and work here. Your energy dollars go to a national company. Even if you can’t go solar at home, solar is still accessible! We believe everyone should be able to benefit from the savings renewable energy provides. 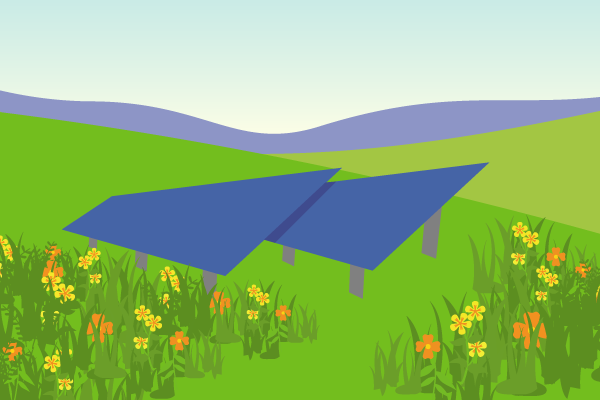 Owning panels in a community solar array is the next best thing to having them directly on your roof and the most cost-efficient way to participate in a CSA. If you live in Orange County, you shouldn’t need to worry about where your energy comes from. You, personally, can divest from dirty energy and lock in lower rates for cleaner power by joining a community solar array. Learn more about our Community Solar options near you! We currently have a CSA option for Central Hudson and Orange & Rockland electric customers. We only have a limited number of new member spots left available, and this is the last year to claim the full 30% federal solar tax credit. 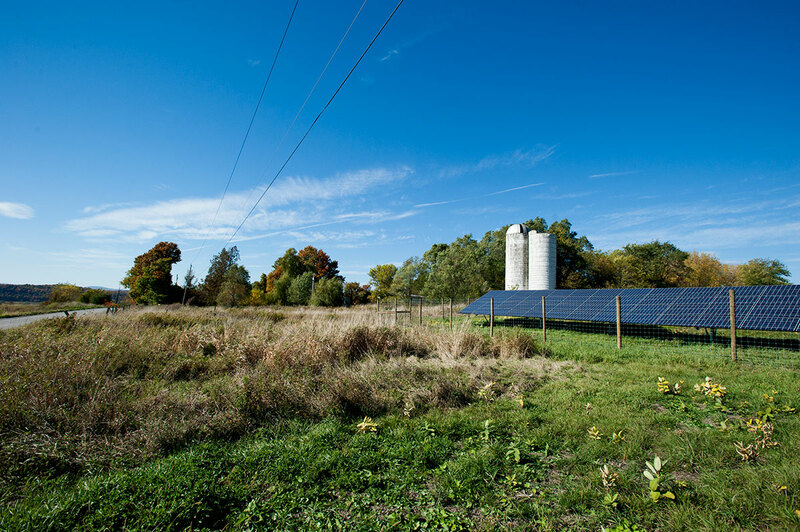 Members of a CSA use solar credits produced by that array to reduce or eliminate their utility bill. 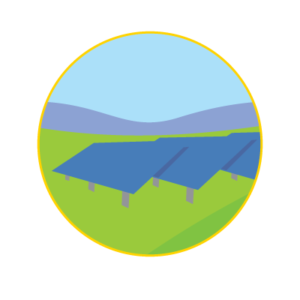 The only requirement to become a member of a Community Solar Array is that you must live within the same utility load zone as the array. 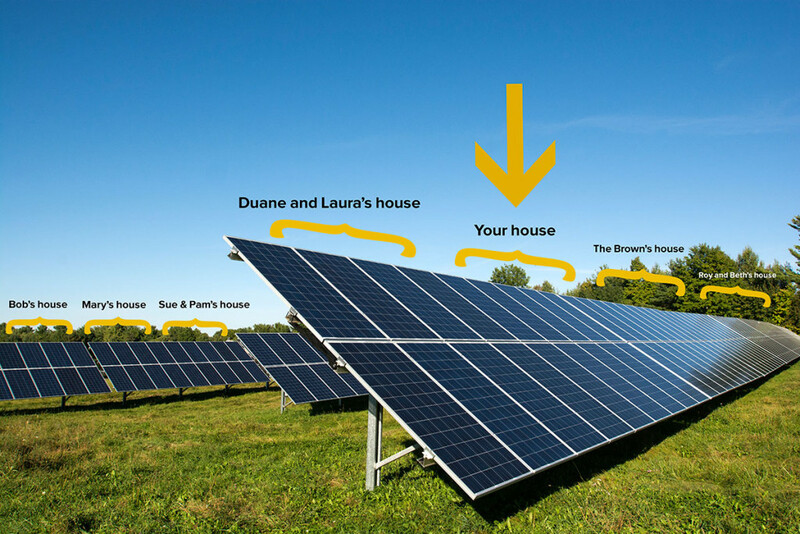 Since most utility load zones span counties, towns, and zip codes, our Solar Advisors can help determine which array you would belong to. For information on how community solar works in general, you can visit our Community Solar page by clicking on the button below. There you will find helpful information on how to become a CSA member, how CSAs actually work, and more. If you have any additional questions, feel free to contact us directly.